VENICE, La. – Coast Guard Commandant Adm. Thad Allen speaks during a conference call at Coast Guard Station Venice May 2, 2010. Allen received input from local, state and other federal officials concerning the uncontrolled oil discharge that continues in the Gulf of Mexico. U.S. Coast Guard photo by Petty Officer 3rd Class Patrick Kelley. Involving or representing two or more agencies, especially government agencies. In recent years there has been much discussion, frustration and angst about the lack of cooperation and coordination between and among agencies and departments of the federal government in response to disasters (natural and manmade) and overseas contingencies. The latest frustration occurred as we watched, for over three months, millions of gallons of crude oil gush into the waters of the Gulf of Mexico. Retired Admiral Thad Allen, the President’s on-scene commander, coordinated disparate and diverse organizations each with their own leadership, laws, regulations and authorities and, to make it even more difficult, he had to coordinate response activities within various political jurisdictions—local, state and federal. In 2005 the response to Hurricane Katrina demonstrated the difficulty of fashioning a whole of government approach to disaster response. (1) At that time Lt. Gen. Russel Honoré, Commander of Joint Task Force Katrina with elements of the 82nd Airborne Division and the usual mix of local, state and federal agencies rallied to save lives and restore order. (2) In the aftermath of that disaster Congress studied the problem and separate commissions worked to identify issues. That was five years ago. Are we better off today than we were back then? One would hope. It seems we are quick to study our failing, but slow to develop and codify effective interagency and inter-governmental solutions. At that time Lt. Gen. Russel Honoré, Commander of Joint Task Force Katrina with elements of the 82nd Airborne Division and the usual mix of local, state and federal agencies rallied to save lives and restore order. In the aftermath of that disaster Congress studied the problem and separate commissions worked to identify issues. That was five years ago. Are we better off today than we were back then? One would hope. It seems we are quick to study our failing, but slow to develop and codify effective interagency and inter-governmental solutions. During any emergency, politics is also at play. Being a mayor, governor or president provides sufficient executive authority, but those titles do not automatically equate to one’s understanding and ability to manage complex response activities. It’s quite possible for a clever politician without any executive experience to suddenly have executive authority with little understanding of how to use it effectively. Some grow into the job; others flounder endlessly. Additionally, some see a crisis as an opportunity to gain political advantage by advancing one’s agenda or discrediting an opponent’s programs or credibility. In the meantime, the crisis in the Gulf raged on. Millions of gallons of thick, smelly and toxic crude oil poured into the Gulf of Mexico and rushed to our shores to pollute our coastline, kill our wildlife, destroy our businesses and sully our beautiful landscape. But all this is about the response to domestic disasters. Surely broad federal coordination in response to overseas contingencies is better. Interagency cooperation has become a hot topic in the military services. It gained renewed traction shortly after the shock and awe campaign to depose Saddam Hussein from Iraq. General Colin Powell is reported to have remarked that “if you break it, you own it.” Indeed, we broke the back of the Hussein regime, toppled the government of Iraq, caused the Republican Guard to flee, disbanded the army and subsequently put everyone out of work thereby fueling the insurgency. It became evident that military power alone was insufficient to rebuild Iraqi society, the rule of law and the economy. Suddenly the military found itself trying to re-establish what it had broken and put in place the infrastructure that sustains health, safety and governance. However, the military is neither equipped nor trained adequately to conduct nation building. While the military is often augmented by other governmental agencies in support of contingency operations abroad, the “system” or lack thereof, to ensure effective interagency coordination poses a challenge. According to Secretary Gates little progress has been made since Ferdinand Eberstadt penned his letter 63 years ago. So what is meant by interagency? There has been much talk about the so-called interagency as if it actually existed as an entity. In fact, it’s an elusive concept of voluntary associations of federal departments and agencies, each having its own culture, operating procedures, jargon and rules. There are no interagency schools, rules or unifying authority except for the President of the United States who sits at the top of the entire U.S. government. Each federal department or federal agency has its own leader, budget, career progression and mission. There is little incentive to cooperate. In fact, the struggle for budget authority is usually a zero sum game. While one might think that broad governmental experience by any federal employee is a plus, service outside of one’s own agency or department is rarely seen as career enhancing. As has been extensively documented, a major problem in the operation of the U.S. government is the difficulty, if not the inability, to delegate authority below the Presidential level across department and agency borders. Yet there has existed for some time one process for doing so – the Chief of Mission authority generally associated with resident bilateral ambassadors. The problem of overseas coordination of U.S. programs became exacerbated after WWII and the beginning of the Cold War. Although there was precedent, President Eisenhower initiated the practice of giving each ambassador direct, written authority over the activities of all in-country executive branch personnel, except for those under the command of a regional military commander. Each president has used slightly different language but the basic delegation of authority calling for full responsibility for the direction, coordination, and supervision of all Executive Branch employees begun by President Eisenhower, has been used by every President since. In essence, the Chief of Mission authority is the only formal inter-department executive authority in existence below the President. The rest of the government is organized in “stovepipes” with numerous departments, agencies, and other organizational entities under the executive leadership of officials appointed by the President, often with the “advice and consent” of the Senate. These officials have functional responsibilities, and related budgets, provided by legislation. Traditionally they cooperate or work together in a manner much resembling coalitions of sovereign states, except when the President personally directs policy and programs. Before the Goldwater-Nichols legislation in 1984, the armed services were separate within the Department of Defense and much less than effective as evidenced by the failed Iranian rescue attempt in 1980 dubbed “Desert One.” That dramatic failure was a catalytic event that caused Congress to pass the Goldwater-Nichols Act ushering in a new era of “jointness” within the military services. Similarly, the 911 attacks on the World Trade Center and the Pentagon demonstrated that the intelligence community was fragmented, uncooperative and lacking central direction. The creation of the Director of National Intelligence (DNI) was supposed to correct that problem, but three directors later we still have a fragmented intelligence community. (7) Consequently, continued attempts to unify the federal government “interagency” since 911 have proven elusive particularly at the national level. In the meantime, some progress has been made at the operational and tactical levels. In a recent discussion with Kevin Stafford, former Special Agent in Charge of the Kansas City Division of the FBI, he noted that while there are still challenges, “we must be mindful of the fact that there has been significant effort, and I believe progress, by many individuals and agencies on developing the overall effectiveness and efficiency of interagency efforts.” He also said that “much has been done to develop collaborative partnerships both within the federal government and among state, county and municipal agencies, as well as private industry.”(8) He stressed the critical role that state, county, municipal and tribal agencies play in advancing national security initiatives because the federal government relies on these agencies to serve as the cornerstone for the prevention and response framework and to provide essential operational and intelligence resources in support of homeland security. With respect to overseas contingencies, the Department of Defense and other governmental agencies don’t always work together effectively or efficiently. As a result, the Army has stressed the need for interagency education, doctrine and procedures that would improve its ability to develop and execute whole of government solutions for the full range of contingencies, from peacekeeping to conflict. Much of the Army’s concern stems from its experience while working with various federal departments and agencies in Iraq and Afghanistan over the past eight years. Similarly the dramatic failure of interagency and inter-governmental cooperation in the response to Hurricane Katrina and now the response to the gigantic oil spill in the Gulf of Mexico may become the catalytic event that causes the United States Congress to fix this problem in a manner similar to Goldwater-Nichols. One approach might be the establishment of an office within the U.S. government that has the responsibility, authority, and, most importantly, the control of resources necessary to effect a whole of government approach to domestic (manmade or natural) disasters and overseas contingencies. Congressman Randy Forbes (D-VA) introduced legislation (H.R. 2207) titled, “The Interagency Cooperation Commission Act” on April 30, 2009. The purpose of this commission is “…to examine the long-term global challenges facing the United States and develop legislative and administrative proposals to improve interagency cooperation.”(10) This commission is a good start because only Congress can solve this problem as it controls the budget and would need to pass legislation that would compel governmental departments and agencies to work together for the benefit of our domestic and international interests. To date this legislation will likely die in the 111th Congress for lack of support. One hopes this legislation is re-introduced in the 112th Congress and gains the support necessary to effect change needed in this important area. What is needed are interagency doctrine, based upon a realistic examination and analysis of past lessons, and interagency education, supported by additional manpower spaces in key federal departments and agencies because these are the building blocks to better cooperation, improved effectiveness and increased efficiency. The military is particularly adept at requiring its service members to receive a series of sequential and progressive educational courses throughout one’s military career. Other government agencies do not have the budgets to support this level of educational activity. Since the military school system is well developed and resourced perhaps they could take advantage of the educational opportunities afforded by the military services. Unknown to most, military courses, at the staff college level Col. Arthur D. Simons Center for the Study of Interagency Cooperation, Fort Leavenworth, Kansas 5 and above, stress all dimensions of national power, including diplomatic, military, informational and economic, coupled with an opportunity for advanced civil schooling. Consequently, students receive a rather broad based education. At the U.S. Army Command and General Staff College (CGSC), the largest of all military staff colleges for mid-grade officers, an effort to attract interagency representation has gained traction over the past four years. Each year students from other government agencies (including State, Justice , CIA, National Geospatial Agency, Defense Threat Reduction Agency, Federal Marshals’ Service, Agriculture and others) join mid-level military officers for a 10-month program of graduate-level study that includes leadership, logistics, history, national security policy, strategy, military planning and operations and a broad range of electives. The program is challenging with high academic rigor. Students who chose to do so can earn a master’s degree, since the CGSC is a fully accredited master’s degree granting institution. Make no mistake, sending a few other government agency members to the military staff and war colleges each year will not create instant interagency cooperation. It takes time to develop understanding, meld cultures and broaden views. However, if we do not begin this educational process right away it will delay the ability of our midgrade officers in all federal departments and agencies to appreciate and understand one another, which is requisite to achieving greater efficiency and effectiveness in the government’s response to contingencies. As for interagency cooperation for mitigating or responding to domestic disasters, the Emergency Management Institute (EMI) in Emmitsburg, Maryland “serves as the national focal point for the development and delivery of emergency management training to enhance the capabilities of federal, state, local, and tribal government officials, volunteer organizations, and the public and private sectors to minimize the impact of disasters on the American public.”(11) While this is a very capable training institute, the military can help here as well. Incident command, a system and process recognized by the Department of Homeland Security, is the civilian equivalent of what the Army calls “battle command.” The art and science of battle command is centered at Fort Leavenworth, Kansas. On the Fort are the Battle Command Training Program, the Battle Command Knowledge System, the Battle Command Battle Laboratory, the Battle Command Training Center for the Army National Guard, the Center for Army Lessons Learned, the National Simulation Center and the Center for Army Doctrine Development. The Army has spent hundreds of millions of dollars over the past 30-plus years perfecting these programs and activities. These capabilities, bought and paid for by the American taxpayer, could be used as a model to develop graduate-level education courses and certificate programs for local, state and federal agencies and leaders of America’s first responder community who might be called upon to assist in the event of a natural or manmade disaster. An extension of EMI’s program at Fort Leavenworth, in the heart of America, incorporating the “battle command” tactics, techniques and procedures could dramatically extend and enhance its reach and influence. A Failure of Initiative, Report by the Select Bipartisan Committee to Investigate the Preparation for and Response to Hurricane Katrina, February 26, 2006 and The Federal response to HURRICANE KATRINA, Lessons Learned, THE WHITE HOUSE, February 2006. Joint Task Force Katrina was a joint operation between the United States Department of Defense and the Federal Emergency Management Agency created on August 31, 2005 at Camp Shelby, Mississippi to organize relief efforts along the Gulf Coast in the aftermath of Hurricane Katrina, http://en.wikipedia.org/wiki/Joint_Task_Force_Katrina. In a letter from Ferdinand Eberstadt, former chairman of the Army-Navy Munitions Board to his friend James Forrestal, then Secretary of Navy and later first Secretary of Defense. Quoted in Running the World by David J. Rothkoph, Public Affairs, New York, 2005. “The United States…needs a bold, but carefully crafted plan of comprehensive reform to institute a national security system that can manage and overcome the challenges of our time.” Forging a New Shield, Project on National Security Reform, November 2008. Foreign Affairs, “Helping Others Defend Themselves,” by Robert M. Gates, Volume 89, No. 3, May/June 2010, p. 4. Interview with retired Ambassador Edward Marks, June 22, 2010. Ambassador Marks participated in the Project for National Security Reform and is a frequent lecturer at the Joint Forces Staff College and is a senior mentor for the Battle Command Training Program at Fort Leavenworth, KS. Kevin Stafford served in the FBI for 25 years. His final FBI assignment was Assistant Director, Operational Support Directorate, Domestic Nuclear Detection Office, Department of Homeland Security where he was the ranking FBI SES member assigned to DHS responsible for assisting and providing strategic leadership in the development and implementation of the Nation’s capability to prevent, detect and deter a radiological/nuclear attack. Forging a New Shield, the Project on National Security Reform, November 2008, Executive Summary. Bill Summary and Status, 111th Congress (2009-2010), H.R. 2207, CRS Summary, http:// www.thomas.gov. 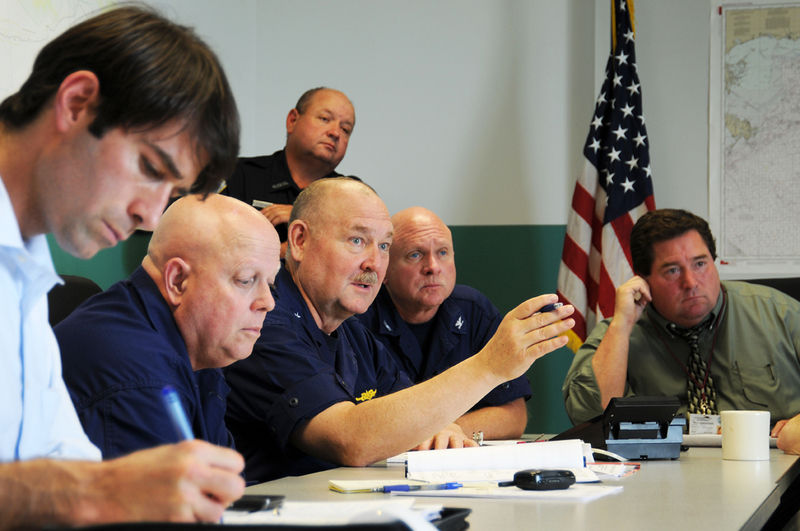 The Emergency Management Institute, FEMA at http://training.fema.gov/aboutEMI.asp. Bob Ulin, a retired Army Colonel, is the CEO of the CGSC Foundation, Inc., a nonprofit corporation that supports exclusively the U.S. Army Command and General Staff College (CGSC) where he is an Adjunct Professor of National Security Studies. While on active duty, he taught on the faculties of CGSC and the Army War College and has worked with the CIA, FBI, State Department and other federal agencies throughout his career in the military and private sector. He served on the Lansing, Kansas City Council for five years where he developed their first emergency management plan and training program for city officials and first responders. He also developed and led a regional conference on Homeland Security in 2003 attended by 285 first responders and community leaders from 23 states. He has written extensively on national security affairs. Colonel Ulin has a master’s degree in Middle Eastern History from the University of Kansas, a master’s degree in International Relations from Boston University and is a graduate of a national security executive management program at the Kennedy School of Government, Harvard University. 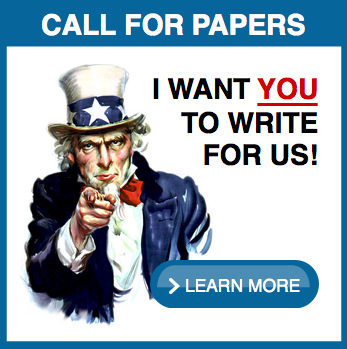 This essay represents the opinions of the author and does not reflect the official views of the Department of the Army, The Department of Defense, the United States Government, the Simons Center, or the Command and General Staff College Foundation. 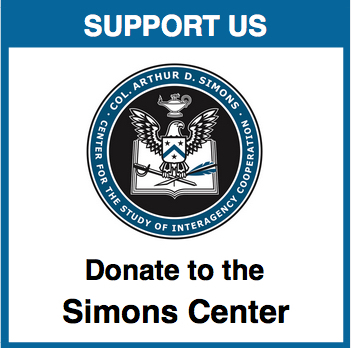 The Interagency Essay (IAE) series is published by the Simons Center for the Study of Interagency Cooperation. The series is designed to provide an outlet for original essays on topics that will stimulate professional discussion and further public understanding of the interagency aspects of national security issues encountered at the tactical and operational levels. Publications released by the Simons Center are not copyrighted, however the Simons Center requests acknowledgment in the use of its materials in other works.